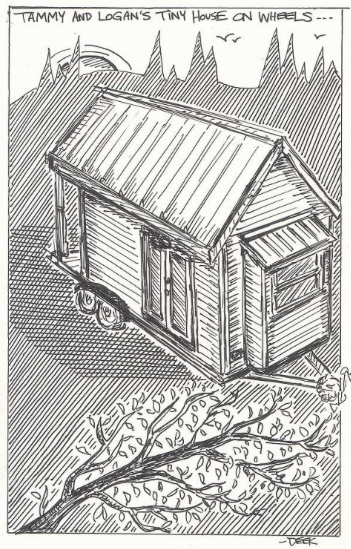 Relaxshacks.com: TINY ART for TINY HOUSES (of TINY CABINS)? 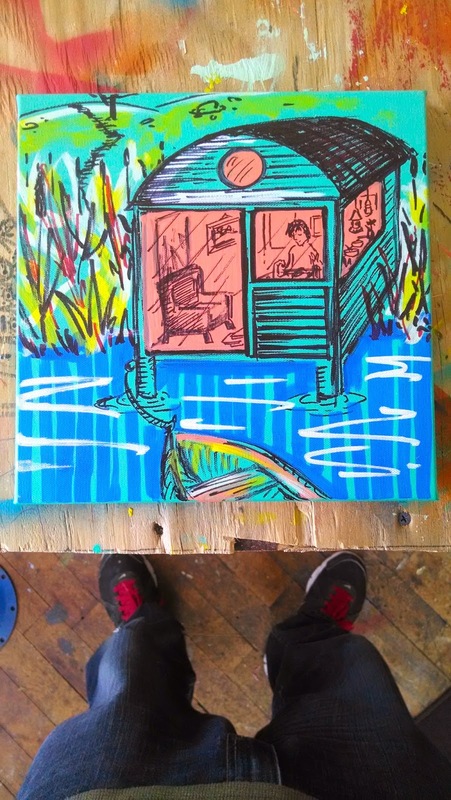 TINY ART for TINY HOUSES (of TINY CABINS)? Some fun/whimsical things I've been working on.... Sure, there are 4,500,786 artists that blow me out of the water, but I'm having fun making these little paintings, and I'm reusing old yard sale canvases, and scrap wood blocks (otherwise bound for the dump) when doing so. 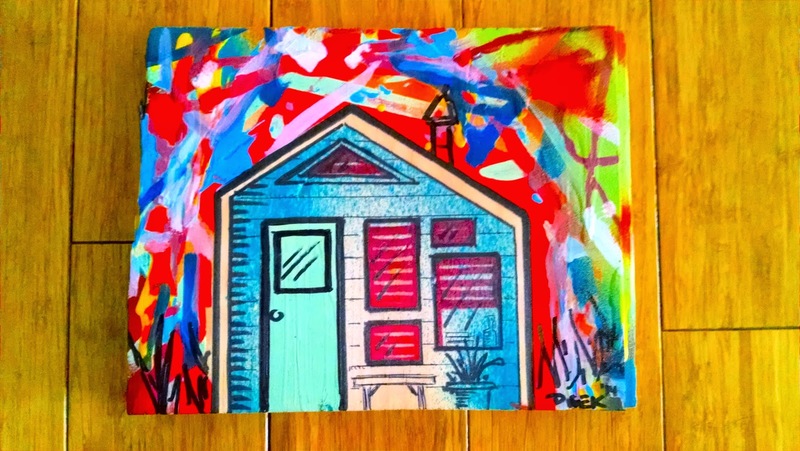 If you're interested in me doing a piece for you- even one of your tiny house- let me know.... kidcedar at gmail.com (all the ones shown have SOLD- sorry)- ALSO, we'll have (and make) some cool tiny hands-on art at our next Tiny House Building Workshop- May 1-3 in CT. We'll build a cabin INSIDE an art gallery, that will be on display (publicly) for two months and then auctioned to help out this non-profit art gallery. 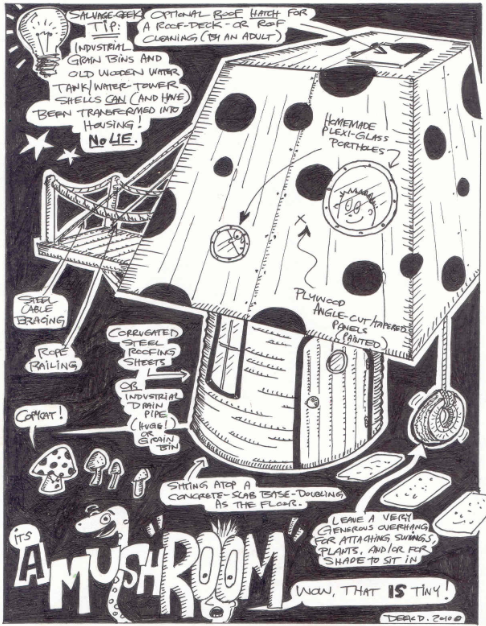 THE NEW STUDIO: Why the heck not? 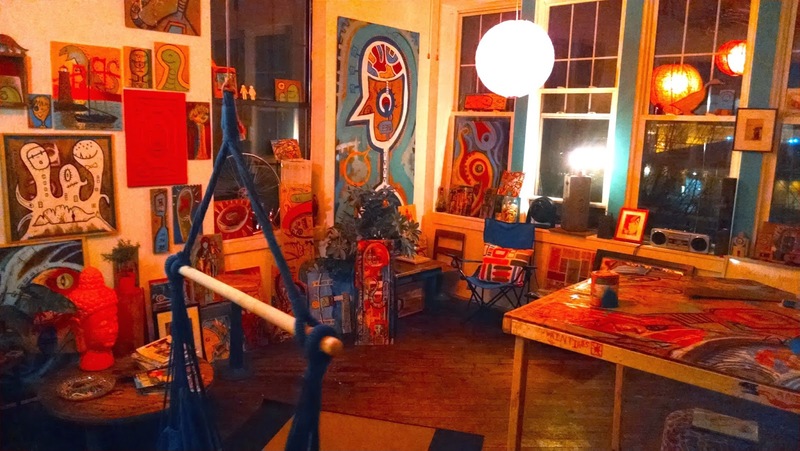 As some of you know, a ways back I began renting out a small studio in an old factory in my town (one of about fifteen artist studios on a 3rd floor) simply so I could have some creative fun and get back to painting, sketching, and graffiti-based work. 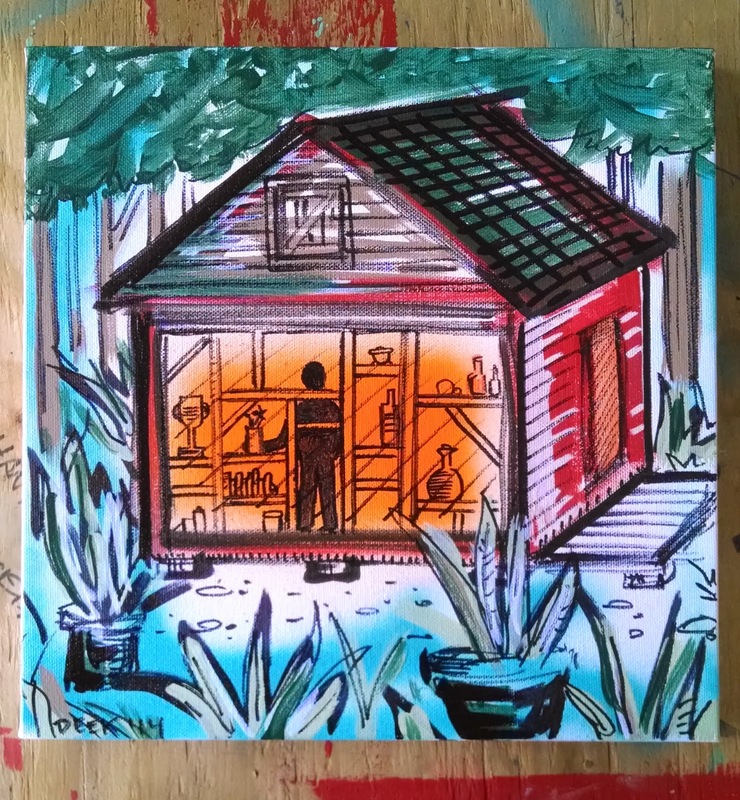 I've been selling original pieces for some time now simply through my personal Facebook page- "Derek Diedricksen", and while I've sketched hundreds and hundreds of tiny cabin ideas for my blog or my books, I've done very few in color. I figured, why not work on some tiny art pieces, that could be potentially used as decorations in tiny houses, cabins, or tree houses- or for those aspiring for tiny spaces and wanting a little art piece to remind them of their eventual goals? I'm no Rembrandt, but have been having a lot of fun messing around with salvaged materials, recycled and leftover paints, and small yard sale canvases. So here are a few I did recently. 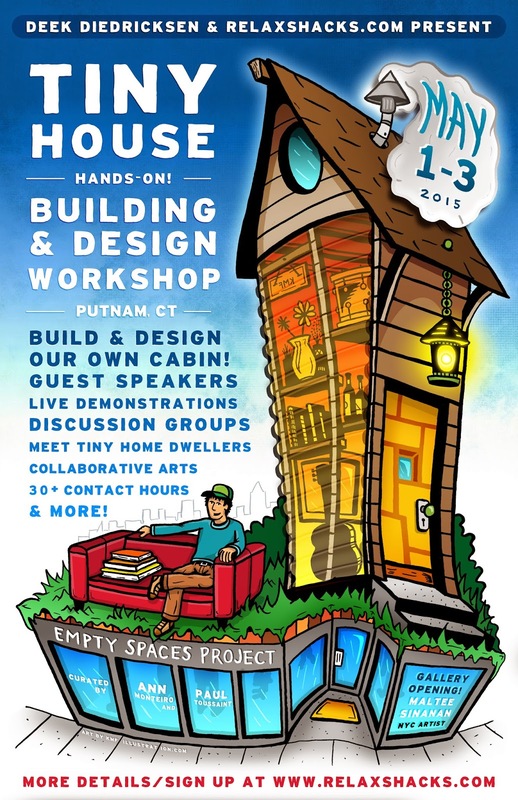 Also, our Hands-On Tiny House Building and Design workshop in CT (May 1-3 2015) is filling up fast, so if interested, click on the banner near the top of this blog, and then scroll down for details. We have a good deal of women as speakers and experts this year too, which is GREAT! CLICK HERE FOR MORE WORKSHOP INFORMATION!